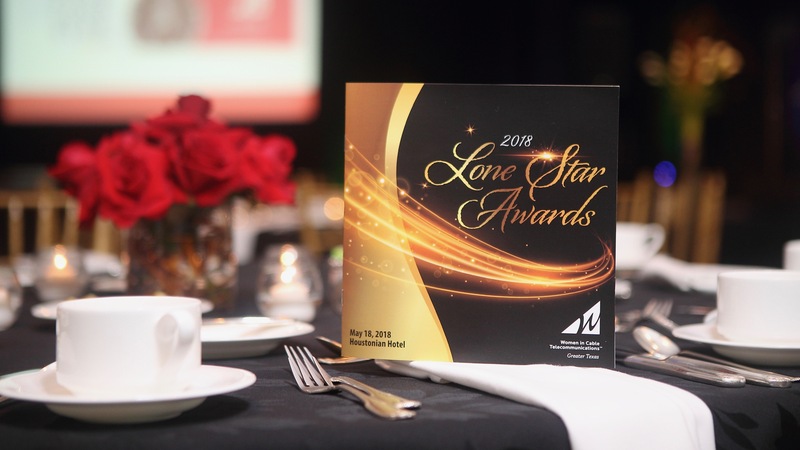 On May 18, Caroline Aspenson, Vice President of Human Resources and Rasheedah Carr, Director of Customer Experience, of the Comcast Houston Region, were honored during the 2018 Women in Cable Telecommunications (WICT) Lone Star Awards, presented annually by the WICT Greater Texas chapter. The awards event was held in conjunction with this year’s WICT Leadership Seminar, which was hosted at the Houstonian Hotel. Each year, the WICT Lone Star Awards and Leadership Seminar promotes female excellence and shines a bright light on our industry’s Texas stars in various stages of their careers through a diverse range of categories. Both the seminar and the gala showcase female accomplishments in cable and promote empowerment, mentoring and professional development. Caroline was presented with the Star of the Year Award for her career accomplishments and devotion to female empowerment. Rasheedah Carr was presented with the Star Power Women in Technology Award for her dedication to the industry and innovative use of technology.